Accompanied by a titlecard featuring Psalm 139:17 - "How precious to me are your thoughts, O God! How vast is the sum of them! Were I to count them, they would outnumber the grains of sand." 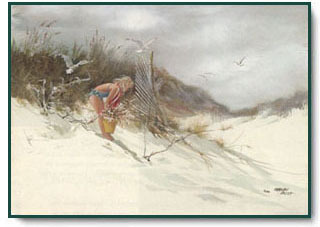 Gathering Sea Oats copyright© 1997 by Carolyn Blish.